While the price of multiple cryptocurrencies continue to see their values soar, the current price of Bitcoin suggests it is still very much the father of digital money. Max Keiser, host of Russia Today’s Keiser Report, agrees, and believes that Bitcoin will ultimately reach a price of $100,000. The price of Bitcoin hit an all time high over the weekend – moving past the $8,000 mark following an uncertain couple of months that had the SegWit2x fork hanging over the markets like a dark cloud. Yesterday, Bitcoin continued its rise, nearly touching $8,400 and establishing another all time high. While Keiser’s assertions bode well for Bitcoin, it doesn’t change the fact that the network is still facing growing pains. SegWit2x may have been abandoned for now, but the short-comings it aimed to solve are ever-present. The simple fact is that the increasing amount of transactions are putting strain on the network capacity – and the backlog of transactions makes Bitcoin cumbersome as a payment method. Many investors seem to be responding well to the narrative of Bitcoin as digital gold. There’s a lot of talk of mainstream institutional investors breaking into the market with massive, billion dollar investments. 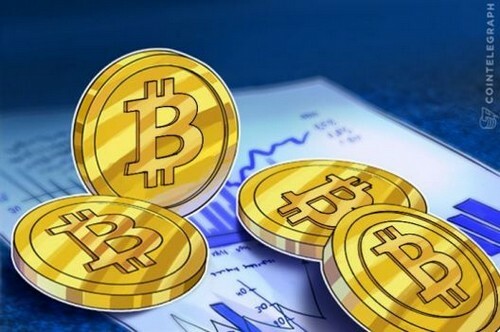 Indeed, a plethora of good news has recently buoyed Bitcoin’s price, with much of it relating to Bitcoin’s growing connections to traditional finance. The biggest news by far is CME’s upcoming launch of a regulated Bitcoin futures market, with major hedge funds announcing they will begin trading the digital currency as soon as this futures market goes live.